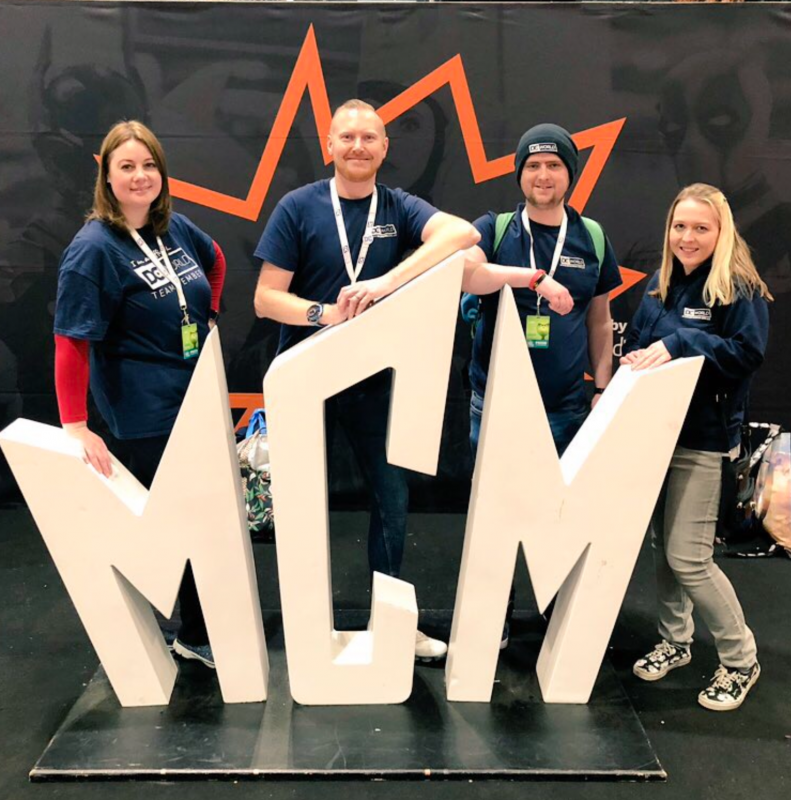 Hi all, some of the DC World Team have been to MCM Comic Con London this weekend and had an absolutely amazing time. 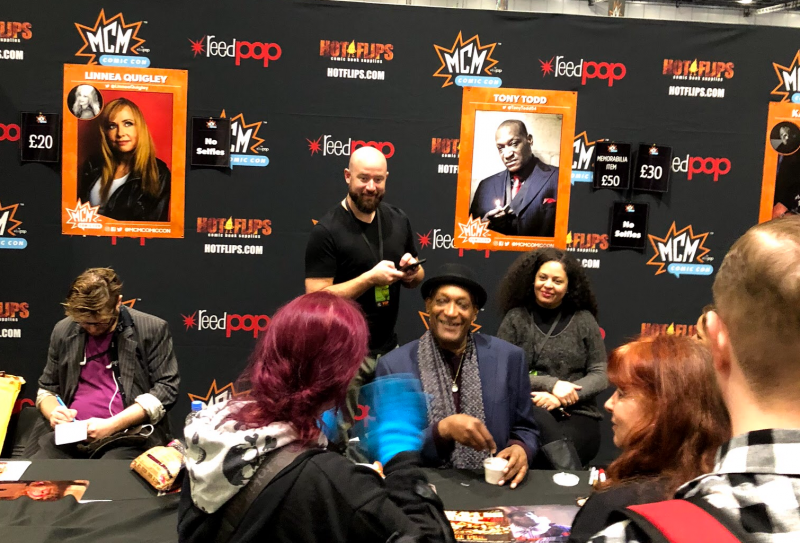 lots to be posted soon but for this, one of the actors I wanted to meet for some autographs was Tony Todd. 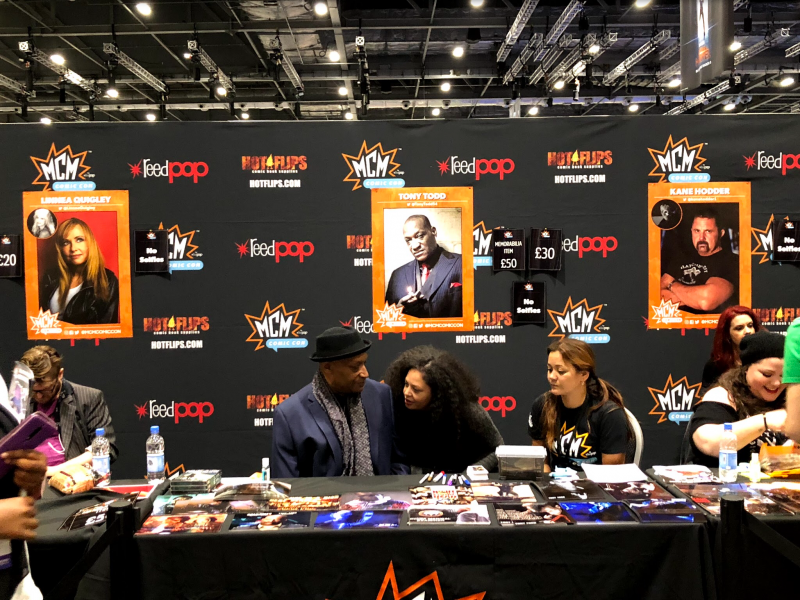 He was in the Horror films as The Candyman you may remover but more recently you may know him as the voice of ZOOM from the Flash TV series. By the time we to Tony’s desk with my son who is a huge Zoom and Flash fan, I introduced us as DC World and a DC Comics website to Tony which he thought was great and we shook hands and we talked for ages. He signed my Zoom Funko Pops plus we got a couple of Zoom pics signed too by him. He loved the idea of two generations at the convention together as in father and son together enjoying time at a fun event, which was nice to hear. 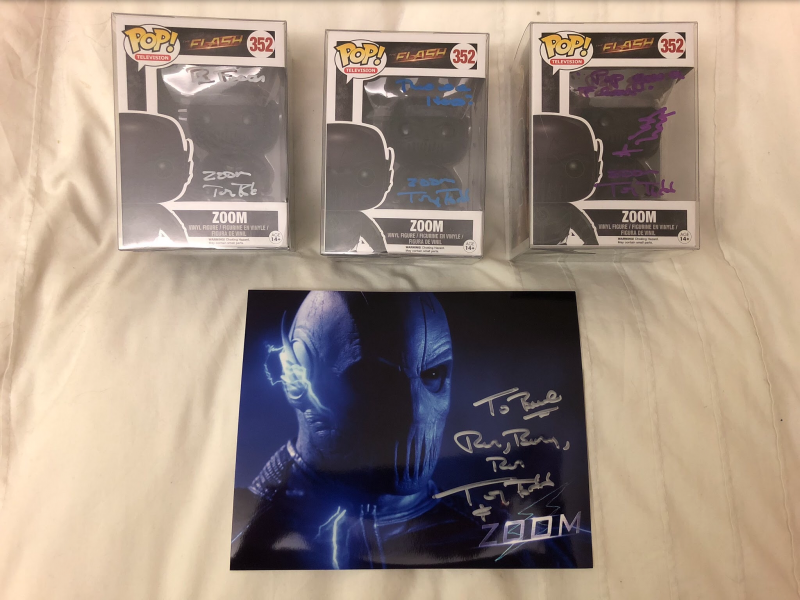 What was even more epic was when Tony said some lines he wrote out for us he did it it the voice of Zoom which gave me chills and my son was ecstatic you can only imagine hearing this villains voice and the guy is in front of you writing the phrases on our items, this is one moment we will never forget. WOW we said smiling and can now only imagine that fans are in for a real treat. And since this moment Tony took to following us at DC World on Twitter plus tweeted some of our posts over the weekend too. Thank you to Tony Todd for our amazing signed items and wish you all the very best.